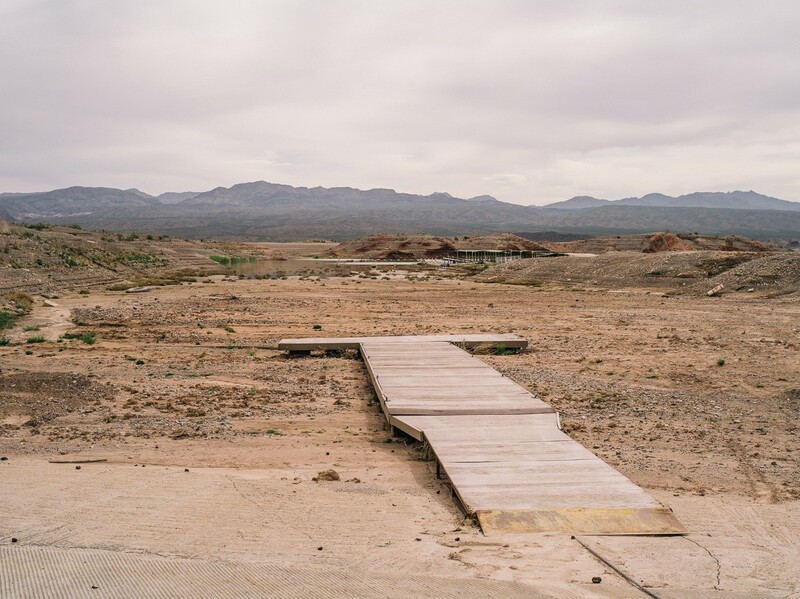 Water Talk is a series of conversations accompanying Killing the Colorado, a multi-part investigation from ProPublica and Matter exploring the truth behind the water crisis in the West. The Colorado River’s water is divided entirely between farmers and cities, with little left to support the ecology of the river system itself. Why does that matter? And should more water be left in the Colorado to help it thrive? We thought it would be interesting to have an environmentalist and the CEO of a major urban water utility discuss this. We paired Jennifer Pitt, director of the Colorado River Program for the Environmental Defense Fund, and Jim Lochhead, CEO of Denver Water, which provides water for more than one million people in the city and county of Denver, to tackle the question: How much water should we be saving? In the arid West we live in a world defined by 19th century water law, 20th century infrastructure, and 21st century water needs. This presents all water users with challenges, and for rivers the challenge is particularly dangerous because water management does not prioritize the health of our rivers. Our legal framework supports the act of taking water from rivers to use it — to support irrigated agriculture and urban uses (and of course those are important as long as we want to eat or take showers) — but not the act of stewarding our rivers so that they support wildlife, or remain places we can enjoy. The exception is where rivers are so damaged that the Endangered Species Act has been used to prevent devastating losses. The drought has hit rivers hardest — until last year’s deliberate release of the “pulse flow” the Colorado River hadn’t flowed down its last 100 miles to the sea in more than 15 years. But the drought also helped create the opportunity to bring water managers and water users together into an agreement to demonstrate restoring flows to the Colorado River Delta. As we are forced to accommodate the realities of long-term drought, I’d like to think we will find more opportunities to align water management with river management priorities. Have something to say to Jennifer or Jim? Leave a response at the bottom of this post. I completely agree with you that the environment must get its share of water. After all, as a municipal water provider, it’s our job to make sure we have a secure and high-quality water supply 100 years and more into the future. We can’t do that if we don’t have healthy watersheds and rivers. Population growth and climate change will make that job even more challenging. The environment does get a share. With all the talk of the drought in California, it’s important to note that the environment is the state’s biggest water user, with environmental mandates accounting for 48.5% of water use, agriculture for 41.2%, and municipal for 10.2%. In Colorado, every river flows out of the state, and we are allowed to use only about a third of that water. The rest must go downstream to meet other needs. But of course, at one point the environment got 100 percent of the water, and — as you note — until last year, the Colorado River Delta below Mexican diversions got zero percent. What is the “tipping point” at which diminishing water supplies for the environment causes environmental collapse? I think we need better data and information on the environment, and more flexible ways to move water to where it’s really needed — including to rivers. All good points, Jim, but I’d hate to find the answer to your question about the tipping point by waiting until it’s too late and the damage has been done. The interstate compacts that require Colorado to send water downstream have without a doubt kept us from fully depleting our rivers before they reach the state line. So in a sense those compacts inadvertently support healthy rivers, to a point. But our existing legal framework isn’t adequate to keep small rivers from drying up intermittently, and it isn’t enough to prevent us from diminishing the qualities that we — us humans — love about rivers. We don’t have many legal commitments to preserving those very aspects of rivers that we hold so dearly. Fish need water every day, the forests that depend on rivers need periods of high water, and some 70% of all wildlife in the arid West depends on a river at some point in its life cycle. Colorado’s interstate compacts don’t require management of rivers within the state to avoid some of our rivers from drying up seasonally.As climate change further dries this region the problem of fewer year-round streams is expected to increase. How do we keep this problem from spreading without formal commitments to manage the water in our rivers for the health of those rivers? As drought and climate change increase the risk of diminished water supply and river flows in the Colorado River Basin, I am confident that water users and water managers will be looking for new flexibility to ensure the resilience of the system to meet critical urban water uses and allow irrigated agriculture and the rural communities that rely on it to continue to thrive. Denver Water has been a leader in supporting open and transparent policy discussions that include voices representing agricultural water users and conservation interests. More water talk? That’s over over here. Yeah, I agree with you completely that we need to be in front of environmental tipping points, not behind them. The scary part is if we develop beyond the tipping point, and if it’s too late. That’s the thinking behind my suggestion of robust ecosystem information that will allow us to hopefully stay ahead. I also agree with your point about the impacts of climate change on small streams. We need active local communities that care about their streams and rivers and who can be responsible about taking long-term actions to support the health of local ecosystems. Just saying “no” to development proposals, or relying on local, state or federal regulations won’t protect the environment in the long term. Local groups need to work to build environments that will be resilient to future challenges. They will need a variety of resources — watershed management, open space protection, in-stream habitat protection and flow management, and more. There are many tools, and we need to collaborate to figure out how to leverage all of them. And, we will need more tools in the future, particularly market-based transactions. I share your hope that we can collaborate and reach solutions to create a model for the world of sustainable management. But I fear we are nearing that tipping point. I also fear the efforts in California to respond to the drought may be too little, too late. Back to the point in your first (response), the water rights system in the West is not flexible enough for the future, and we need to get beyond geographic and sector-based platitudes and parochialism. We need serious engagement and partnership between governments, agriculture, NGOs, and large municipal water utilities, to sit down and develop emergency response plans that will protect all that is dear to — and necessary for the survival of — the West. 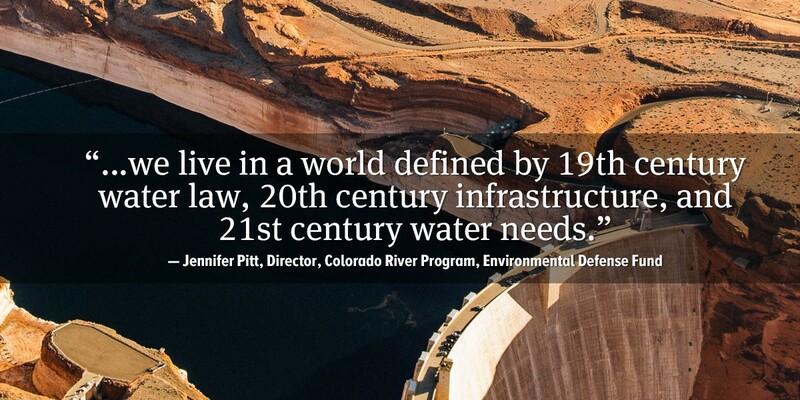 Denver Water has a history of doing this, and we’re ready to engage. But how do we engage others? Where’s the urgency? Where’s the leadership? I could not agree more that we need to recognize the urgency and that we need strong leadership at all levels. There are some bright spots, with Colorado Gov. John Hickenlooper taking on a Colorado Water Plan that has engaged more than 20,000 people in asking for river protection and higher levels of conservation to reduce demand. The new system conservation pilot program, funded by Denver Water and your partners, can be used to show new ways of helping farmers and cities reduce demand and increase the overall resiliency of our major storage reservoirs. And, I’ve been impressed with the Upper Basin’s efforts to open that program to participation by a wide range of stakeholders to get engagement and buy-in. Frankly, it’s time for the partners and the U.S. Bureau of Reclamation to do the same in the Lower Basin. We need all the basin states, including California, to not only acknowledge the challenges facing the Colorado River, but to take action. For example, California leadership must find a workable solution for the Salton Sea — the linchpin between the Colorado River and Southern California’s water supply reliability — to beat a 2017 deadline. Without that solution, our chances of finding a way to balance supply and demand in the Lower Basin are jeopardized. And it’s time for the federal government to get more engaged. It’s been heartening to see the recent $50 million in drought funding that the Department of Interior awarded to projects in California and other western states. And Colorado agriculture has received some important support from the U.S. Department of Agriculture to improve water management. But there is much more they can do. 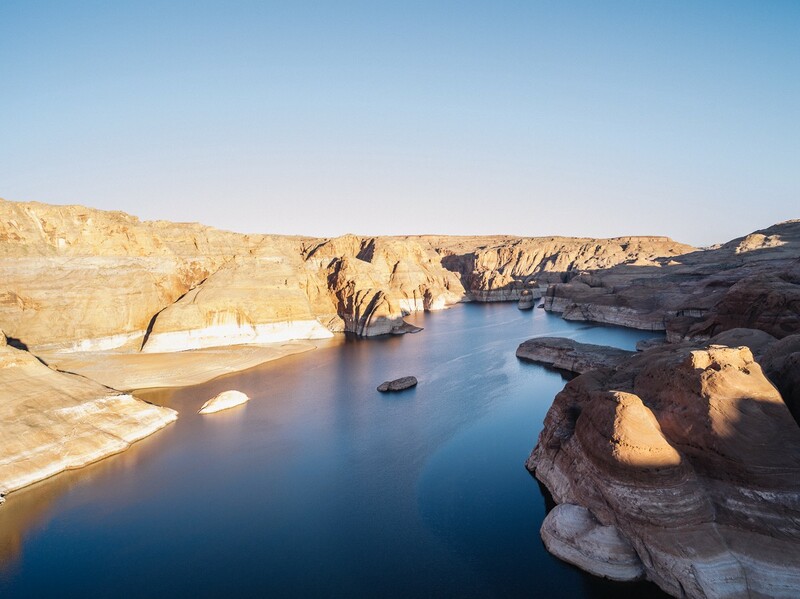 For example, we need USBR and federal leadership to implement the many good ideas in the just-released Moving Forward Reports on the Colorado River Basin. And we need deep federal engagement in addressing that flexibility issue you raise, so voluntary market transactions that benefit agriculture, cities and rivers can move forward. Yes, the Colorado Water Plan discussion has engaged many people, but the process has also exposed deep divides both geographically and between sectors. There is disagreement among interests on the Western Slope and (as always) between East and West slopes of Colorado. And there is disagreement between upstream and downstream interests on both sides. I’ve seen this dynamic up front, as Denver Water would like to promote a future of efficient water use, reuse and green infrastructure that makes the most of the water supplies available to us locally — like rainwater, stormwater and wastewater. Yet in the last session of the Colorado legislature, a very modest bill that would have allowed limited use of rain barrels for residential lawns and gardens failed. (Yes, it’s hard to imagine that using rainwater for irrigation at domestic urban residences is technically illegal in Colorado.) As did a bill, for the third year in a row, that would have allowed more flexibility in the sharing of water between agriculture and cities. A bill that will allow for some limited development of green stormwater management did pass, but it’s hard to believe it was even a matter of debate that a city wanting to utilize green infrastructure that is being developed all over the world would have to obtain water rights to do so. Graywater and other reuse opportunities face serious technological and regulatory hurdles. All of this argues for serious leadership at the state level. In its current state, the Colorado Water Plan is a compendium of issues, but hardly pushes the envelope in establishing an agenda toward a sustainable future. The state recognizes this and is attempting to develop an action agenda for the next draft. But do state water leaders have the will to lead? To experiment? Let’s hope so. Of course, change is not easy when it involves a system of existing water rights — property rights — that are carefully guarded. And even though polls show that the vast majority of people support water conservation and leaving more water in rivers, water management is so insanely complicated that it’s hard for people to grasp the details. The physical solutions we want to see in place — urban solutions like rain barrels, green stormwater management systems and reuse, in addition to agricultural solutions like investments in water distribution and irrigation infrastructure — are not rocket science. As you noted, these are known tools and practices that are widely used around the world. The Colorado River is not in trouble for want of information or technology. There’s no longer any doubt that we’ve got a crisis on the Colorado River. It is a tremendous challenge, but also a real opportunity to make progress so that our children can inherit a land populated with vibrant cities, thriving rural communities, and rich with nature. We will need cities, businesses, agriculture and conservation organizations working together to push our political leaders into action. Thanks for the conversation. What are your questions? Have an idea or a comment? Leave all of that in the responses below. ProPublica’s Killing the Colorado series is in collaboration with Matter.